If you are going to be cooking and baking this holidays season using real butter, you should take a look at this helpful infographic. 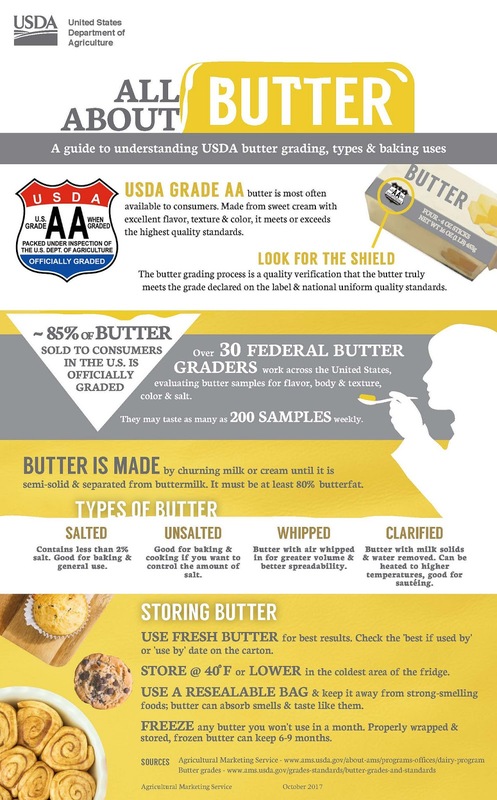 You can also read more here regarding butter grades and standards. I love cooking with real butter. It tastes so much better than margarine.